A blind tasting of pink wines from around the world in London this month confirmed the superiority of Provence, but also highlighted the quality of Bordeaux rosé. Organised by Richard Bampfield MW, the tasting brought together 20 top pink wines from locations as diverse as Corsica, Istria and Bolgheri, as well as more traditional rosé-producing regions such as Provence, Bandol and the Rhône and Sancerre, not forgetting New World areas Marlborough and the Barossa. The wines, almost entirely from the 2012 vintage, were served in the Thomas Pink shirt shop on Jermyn Street and tasted by a range of press and merchants, as well as the drinks business. After the tasting, Bampfield collected scores of out 20 for each of the wines, and he later confirmed that the highest scores had been awarded to two Provencal rosés – Chateau Leoube’s Secret de Léoube and Domaine Ott’s Clos Mireille – and one Bordeaux rosé from Château Brown, in its inaugural vintage release, 2012. 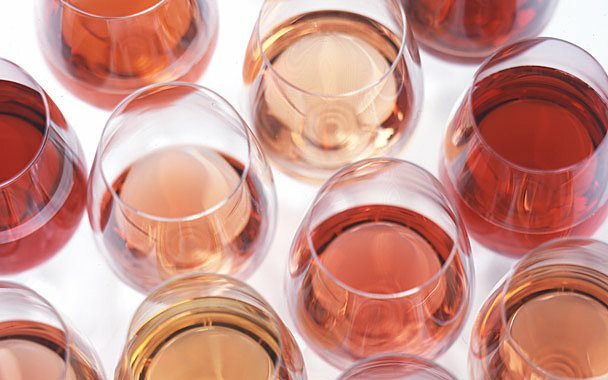 Following the event, Bampfield noted that pale coloured dry rosés performed best in the blind tasting, while deeper pink, more jammy rosés with any obvious sweetness were not scored highly. In short, it was Provence, Bordeaux and Sancerre which were the most highly-rated rosé wine producing regions. Having also taken part in the tasting, over the following pages are db‘s top 10 rosés from the event, as well as the full list of the rosés featured.